152 Nassau Street (right) was a record studio and, at one point, a "Gone With The Wind" Museum. Architect Kyle Kessler with Historic Atlanta has launched an online petition to save the building. GPB’s Rickey Bevington spoke with him in the shadow of 152 Nassau. Rickey Bevington: If this building is so significant to American music history, why hasn't it been preserved and its story told to the public? 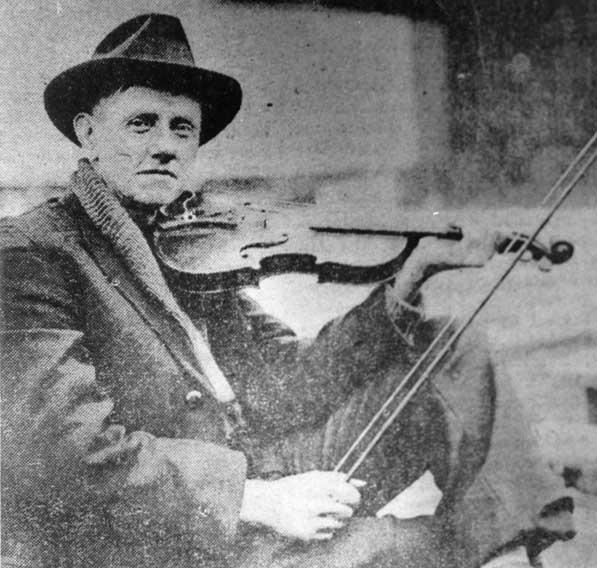 Fiddlin' John Carson was a Cobb County fiddler and country musician. Kyle Kessler: The music that was recorded here in Atlanta was not classical music. It wasn't mainstream, New York, Paris music. It was the music of city folk, of rural folk, and it was not something that Atlanta wanted to project itself out as being a very, progressive city. It was something that we didn't celebrate. We didn't take advantage of having those blues, jazz, gospel and country music singers here in Atlanta. Fiddlin’ John Carson's The Little Old Log Cabin in the Lane, the first country music hit, was recorded at OKeh Records in 1923. Bevington: What time period was that? Kessler: The recording happened here was in 1923 in June of that year. OKeh Records came down from New York City to record artists here in Atlanta which was the first trip they ever made to the South. Before music was recorded in Nashville, Memphis or New Orleans, it was recorded here in Atlanta. Bevington: Tourists like stories about the places that they're visiting. Why aren't the developers of Jimmy Buffett's Margaritaville Resort capitalizing on this music history in the city? Kessler: That's the million dollar question, right? When he started off, here in Atlanta, playing very small gigs of just two people at the Bistro on West Peachtree Street, he was playing country music. His style evolved over time, just like the music that was recorded here in 1923 has evolved into different genres to R&B to Rock n' Roll. It all started here in Atlanta with the sessions in 1923. Bevington: Another musical legacy here in Atlanta is Atlanta Mayor Keysha Lance Bottoms who was born into the music industry through her father R&B singer, Major Lance. I understand he was actually signed to OKeh Records, the same record company that made the earlier recordings. Has she expressed interest in saving the building? 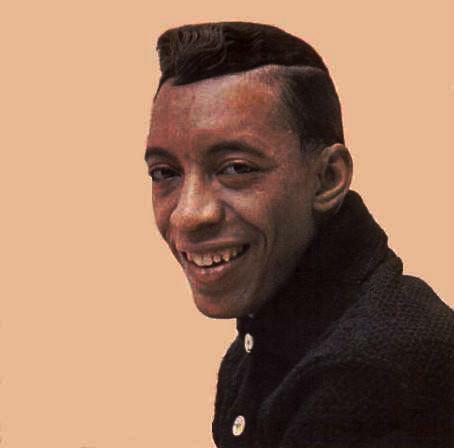 Atlanta Mayor Keisha Lance Bottoms' father, Major Lance, recorded music with OKeh Records in the sixties. Kessler: I have not heard directly from her but we're definitely reaching out and wanting to make sure that she remembers her history and understands there is that connection to her father and to various other artists as well. Bevington: Other major cities have legal tools that they use to protect historic sites. How does Atlanta compare to other major American cities in the strength of its statutes? Kessler: The statutes are pretty strong, but, unfortunately, we have not done a good job of nominating properties and making sure that we're up to date with recognizing the history in the buildings that we've got. So we're always playing catch up after someone expresses interest in demolishing a building when we're able to rally enough resources to do the work to get the building nominated and then get it preserved. Bevington: If you and your historic preservation and architecture friends could save this building, what would you do with it? Kessler: Well, it's more than just me and my historic preservation friends. There are music lovers. There's Parrott Heads all across the world that are reaching out and saying that they think there's a way to incorporate the history of this building and the musicians who performed here alongside Margaritaville. Atlanta is a major music city. So we just need to understand that it all got started here and we can tell that story both of folks locally and to around the world. Bevington: So you would encourage developers to actually incorporate the building into the resort itself? Kessler: Yes, there's no reason why this building cannot be incorporated into the overall picture. They have a large parking lot that they can put the hotel in and just leave this smaller building on the side where they can put in whatever they want to whether it's a restaurant, a gift shop, or a music venue. But there is an opportunity to keep history and build something into the vacant space. We have reached out Margaritaville developers and will bring you that information when they comment. This conversation has been edited for content and clarity.